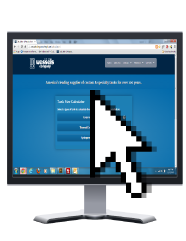 Wessels Company is proud to officially launch our brand new web-based tank sizing software. Now you can size expansion, thermal expansion, and hydropneumatic tanks from any computer in any browser! Need help getting started? Check out our tutorial. On the go or out in the field? Wessels has you covered! Our iPhone and Android phone apps have been updated to include tank sizing as well. Calculate suggested models, view and download submittals, and email quote requests all from the convenience of your phone. Reading this from your phone? 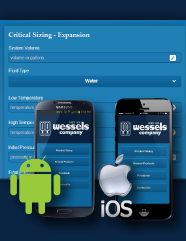 Then just click below to download the Wessels app now!